sDid it happen for you to notice a certain number over and over again? Does a particular number or sequence of numbers pop out all the time as you go on with your day? The numbers that appear on a frequent basis are known as Angel Numbers. It is believed that they are signs sent by our guardian angels or supernatural beings that watch over us. They want us to feel their presence and numbers help them with this. As you can tell, Angel Numbers are connected to positive occurrences and experiences, so there’s nothing to worry about. So, it’s possible to say that we receive guidance or support in a subtle manner when we need it but expect it the least. Some call it a miracle, others prefer to consider it a harmonious alignment or coincidence. Still, one thing is for sure. Some things seem to align in a favorable manner, without us being able to explain why and how that happened. What is an Angel Number? But, what are Angle Numbers, more precisely? Angle Numbers are the short sequence of numbers that you keep seeing on a rather often basis. They also tend to appear in moments with a particular significance. They can emerge almost anywhere, starting with being displayed on a digital clock, on a billboard, poster, screen, or anywhere else. Seeing these numbers doesn’t necessarily mean that something will happen. Many believe that they are just a reminder of the fact that we are guarded and guided, so there’s no reason to be afraid. You should not worry when you see an Angel Number, focusing more on keeping a positive attitude and state of mind. Remember that these numbers don’t mean anything negative. They are positive signs in your life, so there’s no reason to be stressed or scared. Still, if you notice that you see a particular number or sequence of numbers over and over again, you should pay attention to what is going on. It is believed that angels are trying to get your attention this way, so you should slow down and try to figure out what it is all about. How to tell what kind of message the angels are trying to send you? For this, you will need to have a positive and calm state of mind. You will need to open your mind and heart if you are to receive whatever information may come your way. Remove all the noise that is in your mind, noise caused by an agitated and fast-paced lifestyle, and just be there in the moment. Reaching a relaxed and uplifted state of mind is the best way to see the reason angels are trying to get in touch with you by using numbers. Do these Numbers actually exist or work? Angel Numbers do exist and, in the following lines, you will find out how they work as well. Most certainly you experienced the frequent occurrence of a certain number sequence, wondering why you keep seeing it so often. For instance, the moment you look at the clock and you see “11:11”, “12:12”, or “12:34”. Or when you’re seeing 111 or 123 on road signs or billboards several times in a row. When this happens, you are actually looking at an Angel Number. As you can see, Angel Numbers are impossible to miss, because they have a certain order or significance. They are not just random numbers. Their sequence either repeats a number several times or they come as a line of orderly-placed numbers, such as a suite. Thus, Angels are sending these numbers precisely because they will capture your attention as soon as you notice them. Some like to call them “coincidences”, but they are believed to be nudges coming from Angels. They choose to do so in order to get your mind off things and focus on their message. It is worth knowing that Angel Numbers occur several times until you will start wondering what they are all about. So, you won’t see a number just once. If you see a particular number over and over again, you should consider it an Angel Number, especially if it is a number similar to the examples presented earlier. Of course, the sequence of numbers may be different, according to your case and the message that is being transmitted this way. What to do when you notice a particular sequence of numbers appearing to you over and over again? Well, you should start wondering what it means to you. Maybe those numbers have a special meaning in your case. You just need to look for it. Numbers contain information, so they are a compacted form through which messages can be transmitted. If you lack any ideas, you can even search the number you are seeing on Google and check what comes up. While looking at the clock or phone are the most frequent places where you can notice Angel Numbers, they can appear in a variety of other places as well. You see, your Angels will do their best for you to notice their nudge. So, don’t be surprised if you end up stuck in traffic with a car upfront that has a particular number on its license plate. Or maybe you will notice the same numbers appearing on the cash register when you’ll try to pay for your groceries. While you may believe it’s a coincidence seeing certain numbers on the clock rather often, seeing them in other places as well is definitely a sign. This should definitely get you wondering and searching for the meaning those numbers can represent for you. Why are messages sent in the form of Angel numbers? 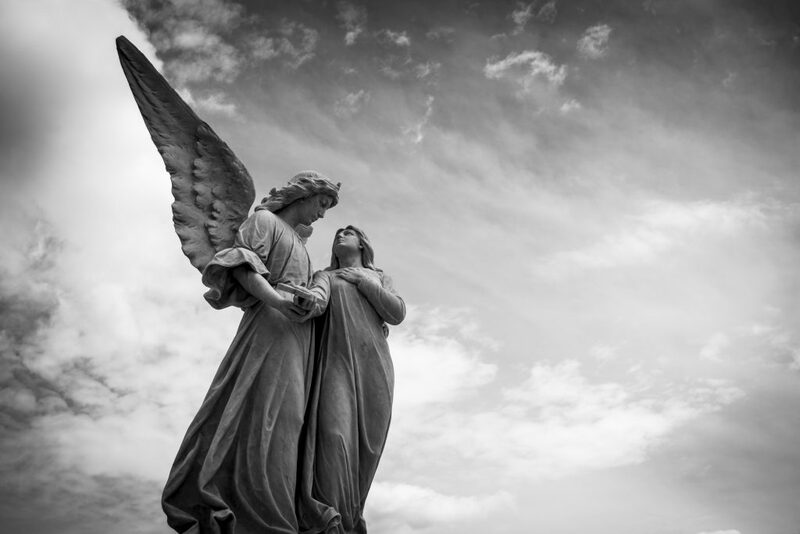 Why don’t Angels choose a different way to communicate with us? Angels are seen as entities with powers superior to ours. So, many people wonder why they don’t choose to contact us in a manner that is easier to notice and understand. Angel numbers must be deciphered while other types of messages are easier to read. Why are angel numbers preferred by Angels when they have the power to do incredible things? Believe it or not, the answer to this question is rather simple. Energies travel throughout the world at different frequencies and have various resonances. While humans train, their entire lives in many cases, to reach a high vibration level, Angels are already capable of reaching such levels. Precisely because of this we cannot clearly see the presence of Angels in our lives, hear them, or get in touch with them. To do this, we should have high vibration levels as well, something that is not applicable to most of us. We live in a world that has limitations and filters, which do not allow us to reach the energetic levels of Angels. We could indeed increase our energy levels, but it takes time, training, and dedication. Most people are not even aware that this should be done in order to have the ability to contact our Angels and receive their messages, signs, and guidance easier. But, due to the Angels’ unconditional love and support, they found a way to get through all the filters and limits of humans. They managed to do so with the help of angel numbers. This is the clearest and easiest way for Angels to get to us and make sure their nudges are noticeable. Thus, if you notice that you are waking up every morning at 5:55 or you see 12:12 each time you check the clock, then your Angel may be trying to send you a message. Angels found that numbers can make their presence felt in a way that is not blocked by our unconscious minds. Yet again, many people see these occurrences as coincidences, allowing their own filters and limitations to get in between them and the message sent by the Angels. These numbers contain messages that have to be discovered and it is your duty to find out their meaning. How can we decipher the meaning of Angel Numbers? In case you are convinced it is an Angel Number you are seeing, then you must be interested in how you can decipher its meaning. The answer to this question lies in numerology, the science behind the meaning of angel numbers. With the help of numerology, you can learn how each number vibrates and what does this mean. More precisely, the vibration of each number can reflect certain qualities or characteristics regarding our lives. So, with the help of numbers, or the meaning of their vibration, we can find out a lot of details about ourselves and our lives. While it is not known precisely when this particular science emerged, there are records indicating the fact that ancient Egyptians and residents of Babylon used numerology. To better understand what numerology is, you first must know the main theory of this science. It states that the entire Universe is precise and accurate from a mathematical point of view. This means that everything can be explained and represented with the help of numbers. What do Angel Numbers have to do with numerology? Angel Numbers are not any kind of numbers. Only the numbers from 1 to 9 are considered to be Angel Numbers. Of course, let us not forget about the so-called “master numbers”, which are actually a repeating sequence of Angel Numbers, such as “11”, “22”, “33” and so on. Master Numbers have special meanings because the vibration of one number is multiplied. To decipher the meaning of Angel Numbers and Master Numbers alike, you first need to know the meaning of each number apart. Each number has a particular meaning and once you know it, you can link it to what is happening to you and discover the message you are repeatedly seeing. In the following lines, you are about to find out the meanings of every number, starting with 0 and going up to 9. Also, you will find out the meaning of the most important and frequently met master angel numbers, which are 11, 13, 22, and 33. 0 – believe it or not, if number 0 appears to you, it means you are enjoying guidance and support from Divinity in an endless and unlimited manner. In order to make the most of this, all you need to do is to become more aware of the moment and be in the present moment to get this as it is readily available. When you see this number, stop and improve your awareness regarding the present moment you are experiencing, and nothing else. 1 – this number recommends you to remain positive. Your thoughts have incredible power in adjusting your mood and attitude. So, instead of thinking about the things that bother, upset, or disturb you, focus on the things that make you happy, the ones you desire to enjoy in your life. 1 is a reminder that you should maintain your state of positivism. 2 – if you see this number, it means that everything is good and there’s nothing you should worry about. Do not let go of your faith and maintain a positive attitude, as this will manage to help you attract whatever it is that you want in your life. 3 – when you notice this number around you, it is worth knowing that you are being helped and guided by the ascended masters. They are watching your every step, so if you become aware of their presence around you, it will be easier to sense their love and help and to get the answers or solutions you’re seeking. 4 – this is the number used by Angels to let you know they are there with you. So, do not hesitate to request their help and guidance, as you will continue to get it whenever you need it. 5 – if you see this number, it means that change is just around the corner for you. Changes can appear like scary and worrying aspects of life, so do not be afraid to call for help from your Angels and get their guidance in order to manifest positive things in your life. 6 – this number is a nudge that should get your mind off money. Yes, if you are seeing this number rather often, it means that you are either worrying or fearing too much because of the financial aspects of your life. Unfortunately, this kind of worries won’t just induce a state of stress, but will also affect your productivity. Ask for help from the Angels in order to get past this kind of fears and worries. 7 – this number is the reflection of pure luck in your life. Lucky 7 is indeed a true statement, so if you see this number as an often occurrence in your life, you should know that luck in indeed present in your life. It is the best moment to seek new opportunities and chances, and if you spot them, you should not allow them to escape through your fingers. The odds are favorable, so you should walk through every door that opens in front of you. 8 – if you notice this number almost all the time, you are blessed with prosperity and abundance in an infinite manner. In case you are working your way toward a goal, you should know that this number will help you out, so you will accomplish everything you are set out to do. 9 – those that see this number should start acting right away. This number is a sign that you have everything you need to turn your plans into successful actions. Just stop postponing the moment when you will finally act because now it is the time to do it. 11 – if you see this number, you should trust your intuition more, as it is right and speaks the truth. This is a number that represents dreams and helps you connect with your inner Spirit. Remove negativity and doubt and you will manage to make your dreams come true. 13 – this number represents the feminine energy or the energy of creation. You should remain positive, even at the end of a cycle, as this number indicates that you are ascending. Just take one step at a time and maintain a positive state of mind, in order to enjoy meaningful new beginnings. 22 – if you’ve been praying lately, this number shows that your prayers are heard and help is on the way. You are being placed on a path toward success. Just make sure to be aware of each moment, as you will receive all the inspiration you need to make the best choices. 33 – you should trust your intuition, but also check the facts you obtain as you walk on your path. You have a direct link to the masters, so allow yourself to be guided by your inner intuition. You have the ability to master the lessons you get in life and have the power to teach others how to do this as well. If you see a sequence of repeating angel numbers, like 111 or 333, it means that the meaning of one number is tripled. In other words, you should expect the meaning of that number to be felt in a significant manner. In case the sequence represents a suite, like 123 or 345, you should sum up the meanings of all the angel numbers present in the suite. Thus, these are more complex messages. Of course, bear in mind that number sequences can appear in random ways as well, not necessarily in a suite. But, as long as you see a particular sequence over and over again, and in different environments, it definitely carries a message.